My husband is my favorite person. He’s kind. He’s funny. And he makes awesome cocktails. 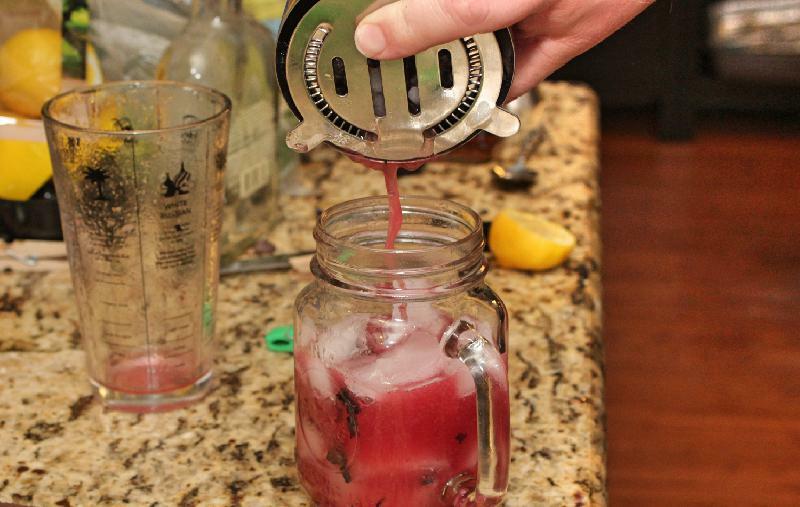 Meet the Kentucky Cobbler! 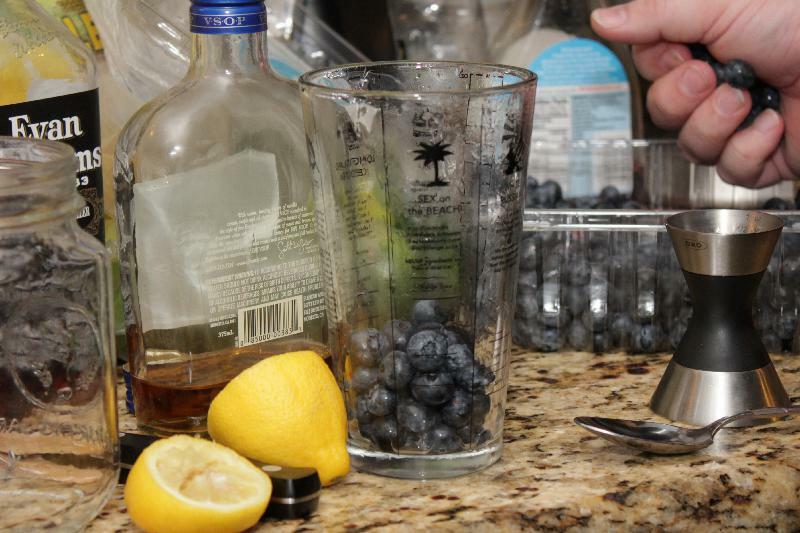 In honor of National Blueberry Month, sweet-tart blueberries are muddled with agave nectar and lemon juice, then shaken with generous amounts of bourbon and brandy. 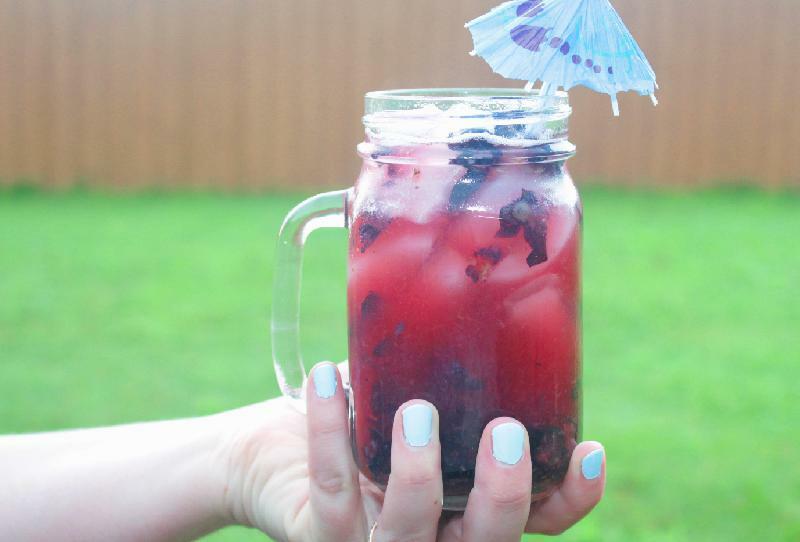 Poured over ice, it’s a beautiful sipping drink fit for any occasion, sweet and distinctly blueberry-ed, but with a slow warmth underneath. If we had served these on a patio while the last rays of a setting sun painted our perfect outfits gold, I would have voted for a classy lemon twist garnish. Since our group was sitting on couches, drifting through the galley kitchen, and trying to win the my-day-was-worse game while petting the dog, we garnished with kitschy umbrella straws. Know your audience. What do I eat with a Kentucky Cobbler? We paired these drinks with salad: spring mix, seared chicken, blueberries, toasted almonds, coconut white balsamic vinaigrette, and creamy goat cheese. The resulting mix of textures and smoky-sweet-clean flavors created a light yet substantial meal that perfectly matched the Kentucky Cobblers. If you’re feeling the blueberries, check out these other fabulous recipes from some other fabulous ladies! 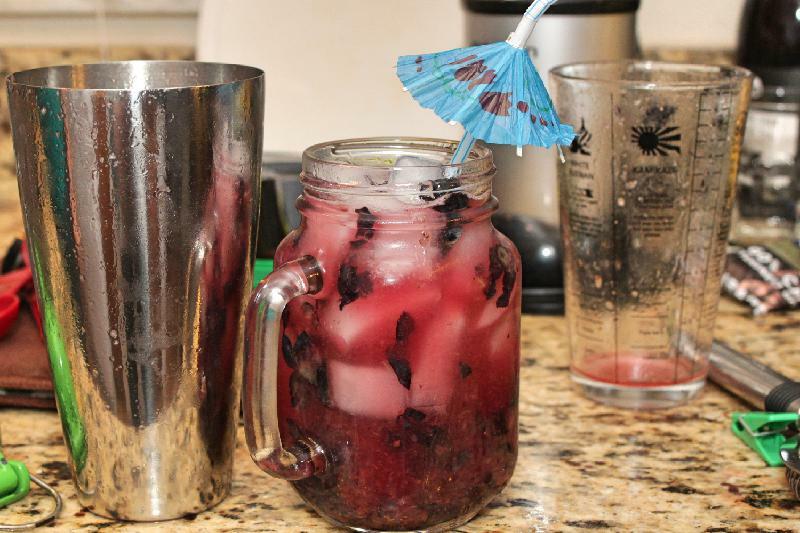 In a cocktail shaker base, muddle blueberries. Add lemon juice and agave nectar and muddle a bit more. Add brandy and bourbon. Shake over ice. Strain over fresh ice. Garnish with a lemon twist or umbrella straw. I could drink a pitcher of these, yum! YES!!! I love everything about this! These look dangerously fun! What a great recipe. This cocktail sounds wonderful Katie. Thanks so much for joining in the fun this month. We’re happy that you joined our group.